The contraction of Christianity in the West is transforming overseas missionary endeavors and missions organizations, including Cru, YWAM, Wycliffe Bible Translators, Voice of the Martyrs and Gospel for Asia. 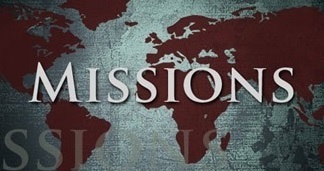 Given the number of missionaries returning early from the field, how to become a missionary and support missionaries, as well as how to qualify and select mission agencies and mission trips require reassessment. Christian persecution is re-intensifying in the world's largest mission field as its government uses artificial intelligence, big data and brute-force against the underground church and even the Three Self church in its bid to suffocate Christianity in China while infiltrating the West via CSSA and Confucius Institute. Persecution is accelerating in America, as evidenced by the termination of Peter Vlaming and the reaction to the martyrdom of John Allen Chau. Reaching Generation Z with the true Gospel remains a key priority. Visitor comments and questions are welcome.